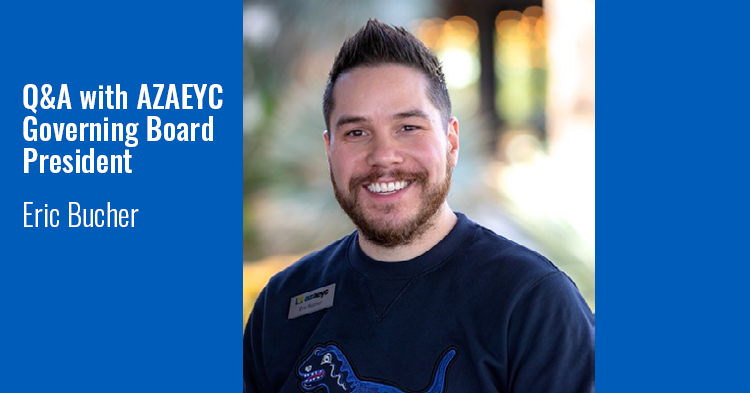 Eric Bucher serves as Governing Board President of the Arizona Association for the Education of Young Children (AzAEYC). He was the 2015 First Things First Phoenix South Region’s Champion for Young Children for his advocacy work in improving the quality of professional development for early educators and programs for young children and families. 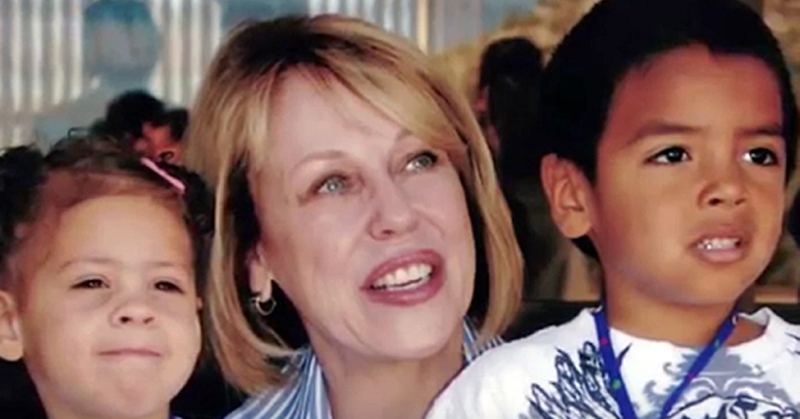 What is the Week of the Young Child™ and how is it celebrated in Arizona? 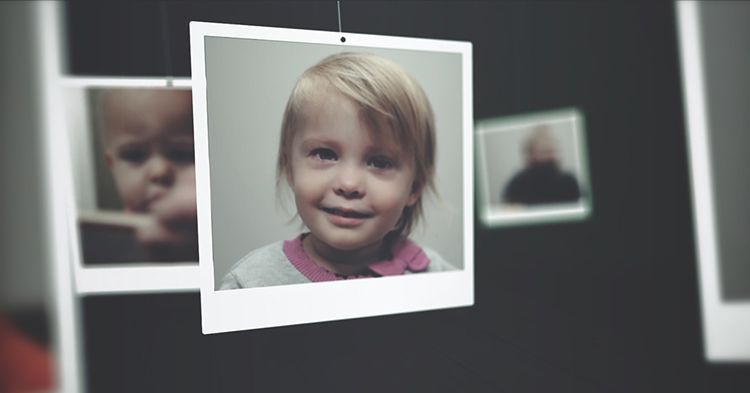 Week of the Young Child™ (WOYC) is an annual celebration hosted by the National Association for the Education of Young Children (NAEYC) to raise awareness about the importance of quality early learning. This year, WOYC 2019 takes place from April 8-12. 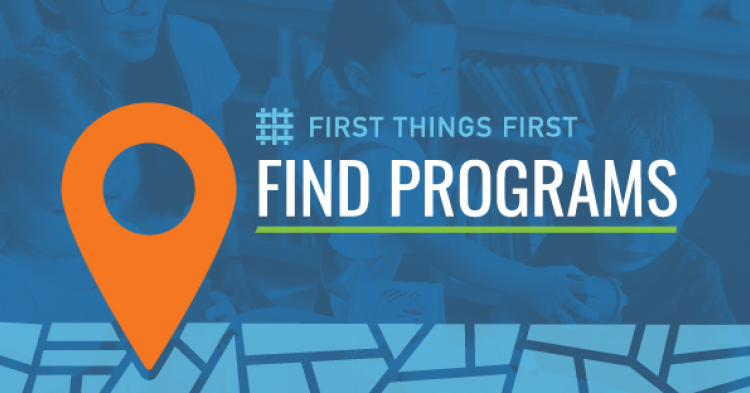 Early childhood programs, community groups, and First Things First regional partnership councils around the state will be celebrating children and families and spotlighting quality programs. Anything new about WOYC this year? Yes! NAEYC is asking members, centers, higher education programs, and the early education community to Step It Up (SIU) during WOYC™. The daily themes are the same, but NAEYC is challenging us to expand them. Look for photos of AzAEYC membership on social media as we spread the word about the importance of quality early learning, and the critical role early childhood educators play in a child’s development and learning. Join us! Use the hashtag #woyc19. 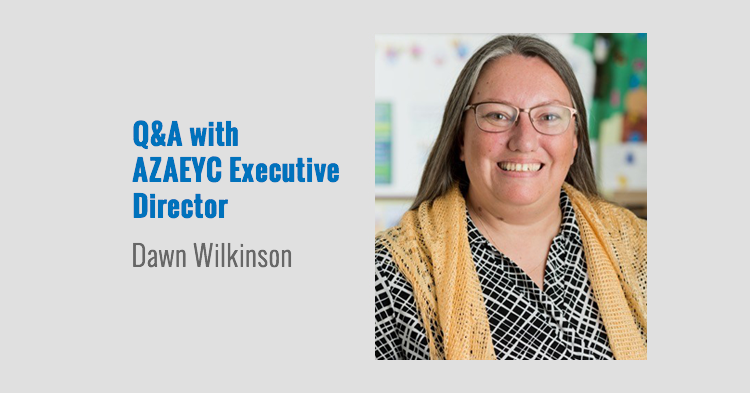 How does AzAEYC support children and families in identifying high-quality early care? 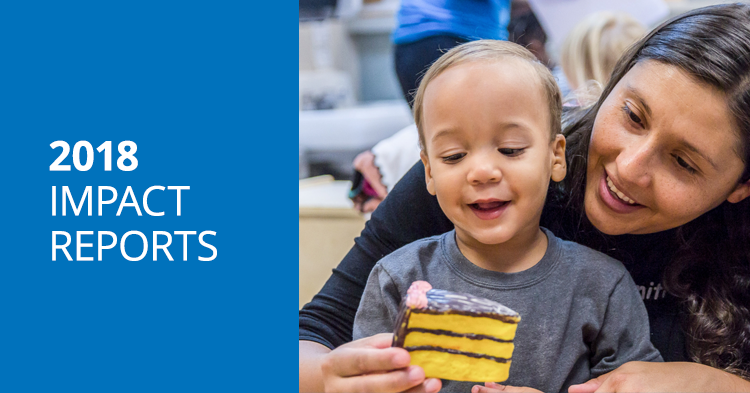 Research shows a direct correlation between quality early learning and positive long-term outcomes for children and families, including increased educational attainment, healthier lifestyles and more successful careers. NAEYC Accreditation has long proven itself as the highest standard of quality. NAEYC Accreditation helps teachers and staff at early learning programs develop a shared understanding and commitment to quality. That helps provide a solid foundation for all children and families to succeed in life. You will serve as AzAEYC’s Board President for the next two years. What do you hope to accomplish? My focus as President is to coordinate advocacy support with our partners and promote a vibrant and diverse membership that represents the strengths and values the voices of early childhood professionals across the state. I want to ensure that everyone has a seat and a voice at the table! That starts with supporting early childhood professionals as the strong and powerful advocates for children and families that they are. 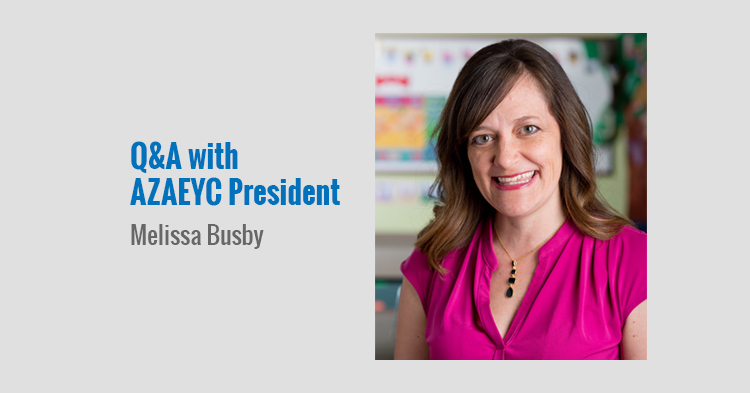 What’s an example of how AzAEYC specifically works to support early learning programs? AzAEYC is excited to offer the AZ Toolkit, an online shared services tool that helps program directors save money and improve program quality. 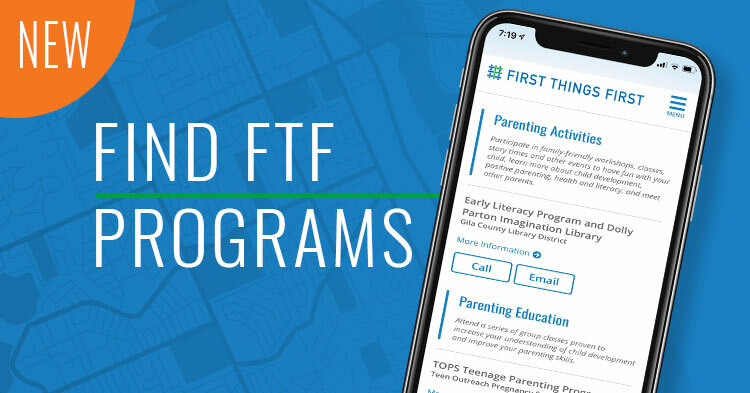 AZ Toolkit helps reduce time directors spend on administrative details, freeing up time to spend on strengthening the quality of early education programs. This online platform is offered on a subscription basis in Arizona and strengthens foundational business practices. 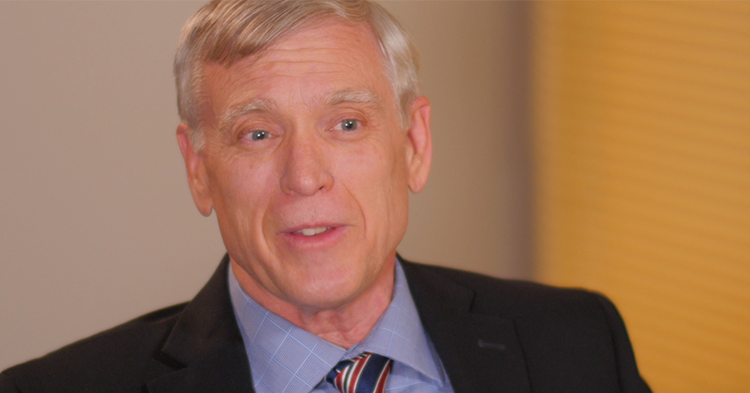 With AZToolkit, directors become better prepared to implement quality improvement strategies. How is AzAEYC spreading the word about the importance of accessible, quality experiences for young children to state and local legislators? We were pleased to offer the first annual Arizona Public Policy Forum in collaboration with the Southern Arizona Association for the Education of Young Children (SAZAEYC) and Child Care Resource and Referral – Arizona earlier this year. Through this signature event, early childhood professionals learned about the state of early childhood in Arizona, developed informed messages to share in their local context, and connected with credible resources to create positive change for our children. 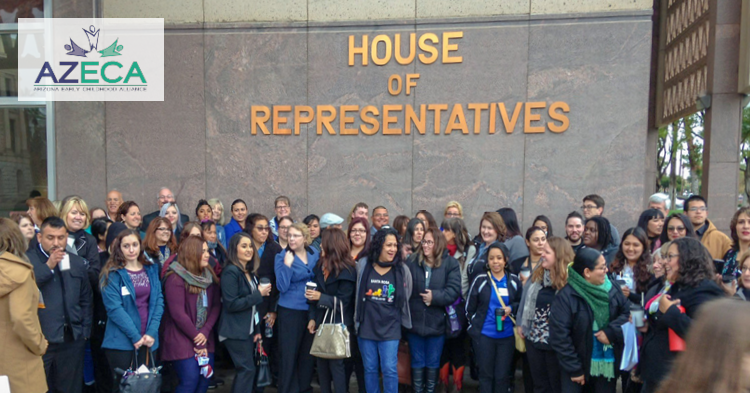 AzAEYC supports our members in developing advocacy skills and connecting with local/state legislators and community stakeholders. Are we making progress in recognizing the importance of early childhood education in our state’s education system? We are, and we will keep the work going! 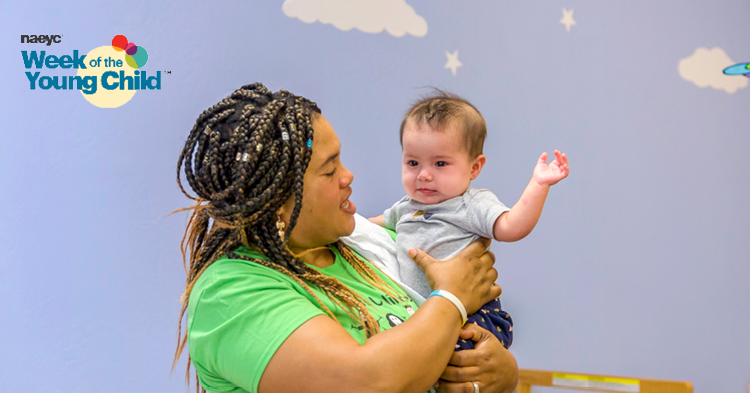 AzAEYC is committed to the profession and helping our communities see the vital role of quality early childhood experiences on impacting child development, family well-being, and community prosperity. 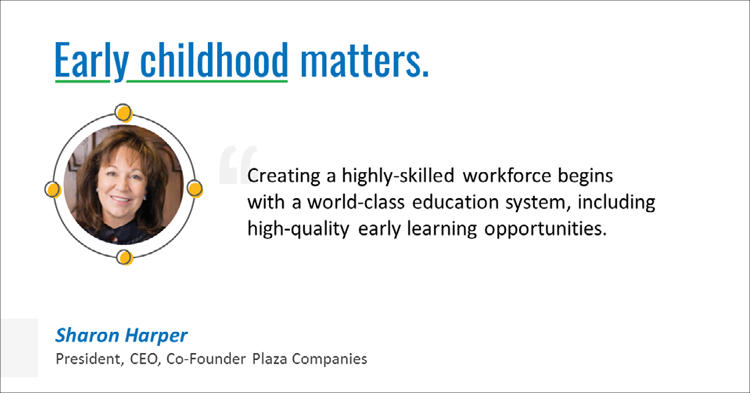 A unified voice around the importance of quality early learning is key to this progress. 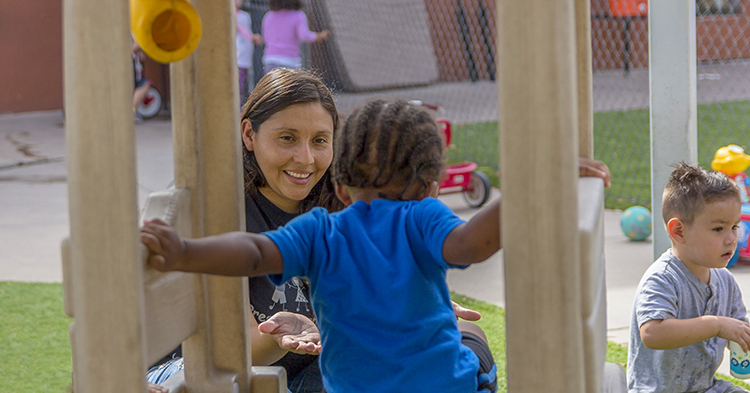 Thanks to the collaborative efforts of the Arizona Early Childhood Alliance (AZECA), an alliance of 40 cross-sector partners statewide, including First Things First, we are making progress in aligning our statewide work, advocating for programs that increase the availability of quality preschool, and sustaining and growing state and federal investments in early learning. What message do you hope to broadcast loud and clear to the public? Our voices matter! People are often surprised at how accessible lawmakers are through email or interactions on social media. We encourage everyone to follow issues related to early education and VOTE! Together, our voices will be powerful at shaping the future for children, their families, and our communities.